A two nights’ VIP accommodation in a King Executive Room including breakfast. The package also includes a dinner and SPA treatment for two. 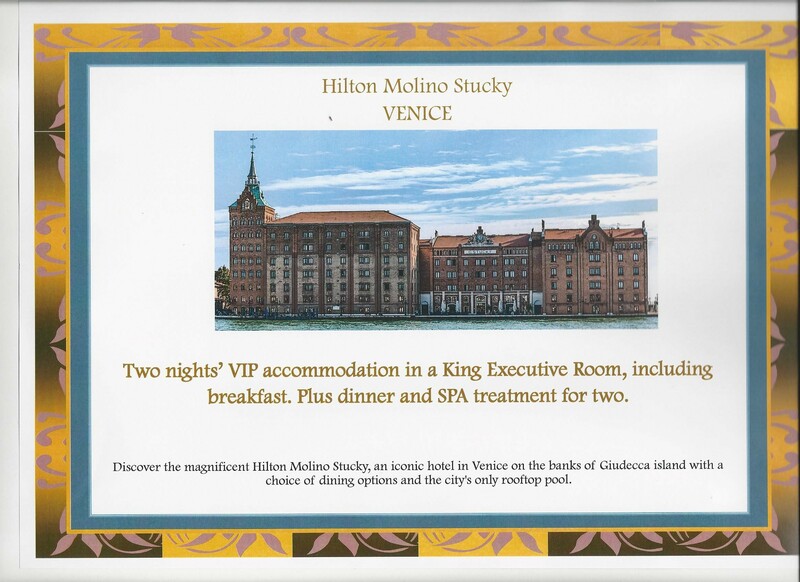 The Hilton Molino Stucky Venice, once a flourishing flourmill, is now internationally recognized as one of Italy’s iconic pieces of industrial architecture.